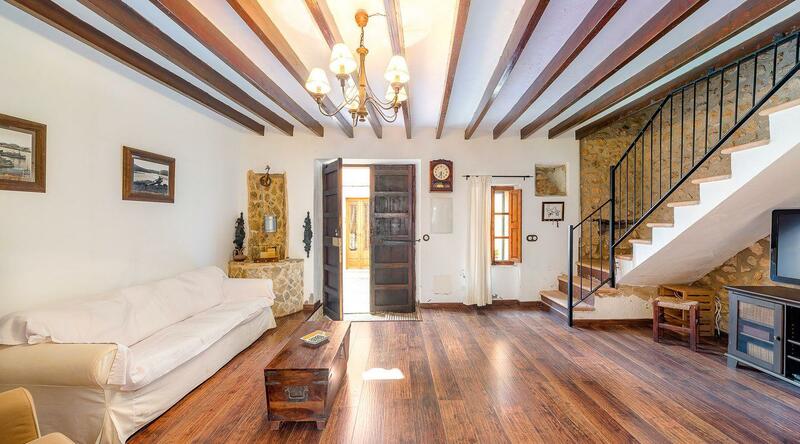 Beautiful renovated village house in Lloseta. This house consists of three bedrooms and two bathrooms on two floors with terrace. The spaces are wide and luminous totally reformed with taste with a good balance between modern and rustic. It is ready to move in. Lloseta is a small town and the island’s second smallest municipality located in the Riaguer district of central Mallorca. Situated the island’s rural heartland, this place holds an identity all of its own, yet is very close to the major town of Inca. Now Lloseta is a place of contrasts with modern buildings threaded in between the golden stone walls, ancient town houses and many street cafes. This area is also known for its fertile soil which made it an ideal location for the development of agriculture and you can still enjoy its abundant fresh produce today. Lloseta sits at the foot of the Tramuntana mountain range which has many places to explore. Despite being a small town Lloseta boasts a population on a par with nearby Binissalem. Although it is mainly inhabited by local Mallorcans, some internationals are attracted here due its proximity to Inca, one of Mallorca largest towns.